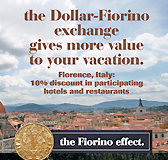 The promotional campaign The Fiorino Effect, sponsored and launched by the Provincia di Firenze (Province of Florence) and the APT (the Florence Tourist Board) provides American tourists visiting Florence from May 15, 2008 to December 31, 2008 with discounts at participating hotels, restaurants, theatres and exhibitions. The promotion aims at softening the impact that the current dollar-euro exchange rate has on American purchase power when visiting Italy and Florence. The initiative will take effect on May 15, 2008, with the opening date of Il Genio Fiorentino, a 10 day festival including a widerange of events, from music to fashion, from arts and literature to science etc. Il Genio Fiorentino represents not only a wonderful occasion to showcase the beauty of Florence, but it is also intended to remember the marvellous history of Florence and the importance and geniality that are typical of its past. The significant role that Florence played in the past was also determined by the Fiorino, for over two centuries the most used coin in Europe. Today the Fiorino embraces the Americans and through the "Fiorino Effect" initiative helps them reduce the cost of their stay in Florence, American tourists coming to Florence from May 15 till December 31,2008 will have 10% off of their stay in participating hotels of Florence and its province and meals at participating restaurants. Participating museums and theatres will also be offering discounts on their entrance fees to exhibits, concerts and productions. 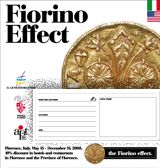 We well know that Florence is worth far more than a discount: the "Fiorino effect" is a new and fun way to remember that Florence was the capital of the world not just in art and culture, but also in economy and finance. It is with this that we give the greatest welcome of 100% in both the great history and in the actuality of present-day Florence. To whom does the initiative apply? All citizens of the U.S.A. that will visit Florence and the Province from May 15 - December 31, 2008, stay in one of the partecipating hotels and who pay for their stay in euro. The partecipating hotels and restaurants apply a 10% discount on the entire cost of your stay in the hotel and on your meals. When you reserve your hotel room/s, do not forget to communicate to the hotel staff that you are American and that you wish to use the promotion The Fiorino Effect. 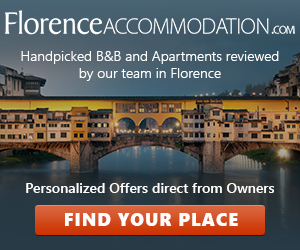 Download the voucher, with the image of the Florin on it, and bring it with you during your stay inf Florence. The hotel will validate the voucher enabling you to access to a 10% discount on the cost of your meal in restaurants, a 20% discount on the exhibits scheduled for the 2008 season in the Palazzo Strozzi (until June 8 you can visit the splendid exhibition China - At the court of the emperors, unkown masterpieces from Han tradition to Tang elegance) and free entrance to the Palazzo Medici. You will also be entitled to a 15% discount on the performances held in the Teatro del Maggio Musicale Fiorentino and for the lyric performances that are scheduled for October 2008. Below you can find a list of hotels and other accommodation facilities along with the restaurants taking part to The Fiorino effect so far. Further details will be released in the following days.